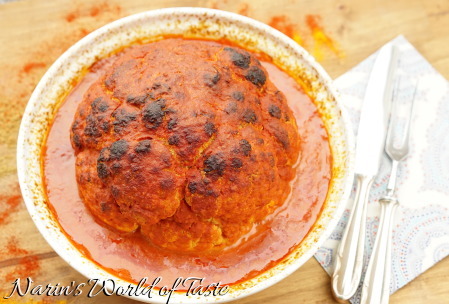 There are many ways to prepare cauliflower, but have you ever tried preparing a whole roasted cauliflower? 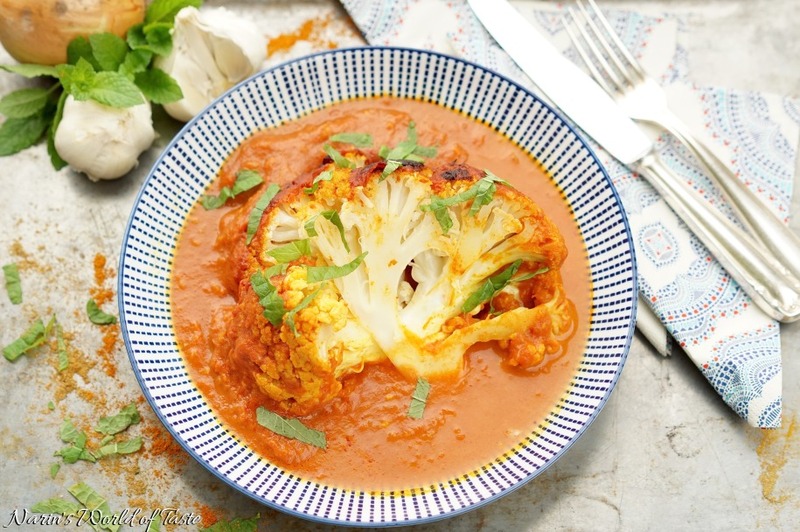 This is a vegan side dish which is not only an amazing eye catcher, it’s also prepared with a lot of healthy ingredients. When it’s ready to serve, just slice it at the table like a cake. Measure the ingredients and preheat your oven to 170 °C / 340°F. 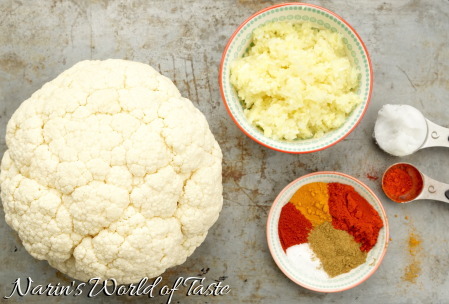 Cut off the leaves of the cauliflower and wash it thoroughly. Peel the garlic, onion, and ginger and chop them very thinly. Alternatively, use a food processor to do so, but don’t over pulse, otherwise you will end up with a mushy consistency. Heat 1 tbsp coconut oil in a pan over medium heat. Add the onion, garlic, and ginger and let them brown slightly. Season with the spices while stirring continuously. 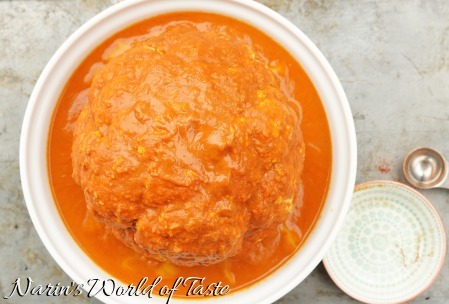 Pour in the tomato puree and coconut milk and bring to a boil. 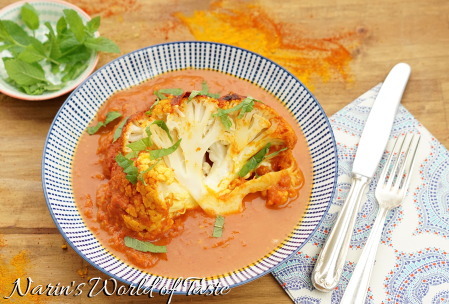 Place the cauliflower in the middle of a casserole and pour the sauce over the cauliflower so that it’s well covered. Bake in the oven for about 1 – 1 1/2 hours. It should be nicely brown on the outside and soft on the inside. 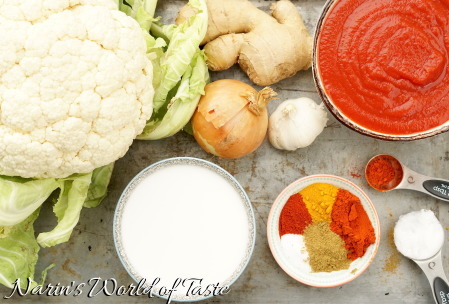 Chop the mint leaves and place them as a condiment on the table, then sprinkle them over the cauliflower slices. Serve by itself or as a side dish, for example, with my recipe Chickpea Flatbread and Kashmiri Chicken Curry.